Tags: candy, Under Counter Fridge + Icebox. 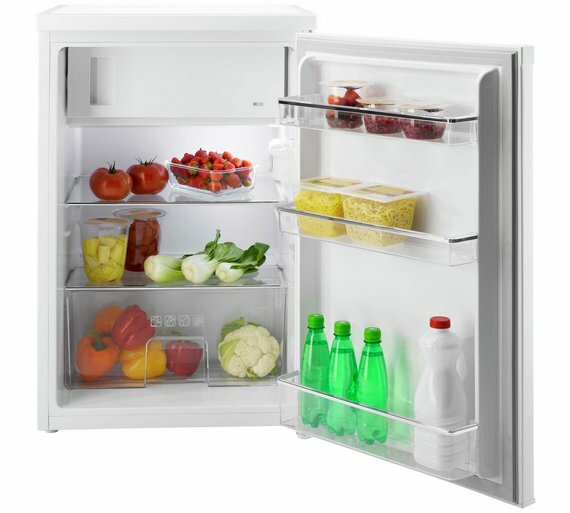 Candy CCT0552WK Under Counter Larder Fridge – White. 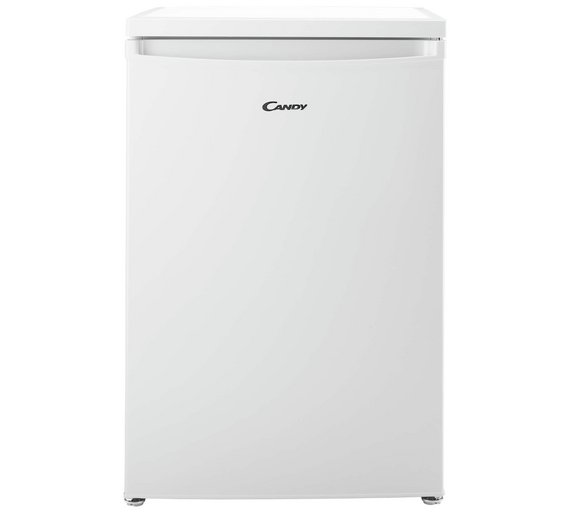 The amazing white Candy CCT0552WK Undercounter Fridge features 113 litres of storage space and a convenient icebox for smaller frozen items.The manual temperature control can be adjusted to ensure the fridge has the correct cooling temperature required.This Candy under counter fridge has ample storage capacity with the added benefit of a freezer compartment. 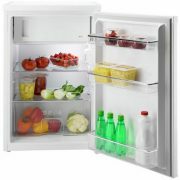 Two shelves and three door balconies inside this fridge let you arrange your weekly shop with complete ease. 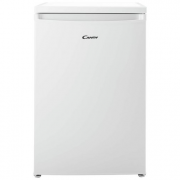 The CFOE CCT0552WK WE also features an icebox for frozen items such as ice cubes and ready meals. A large salad crisper offers an ideal environment for keeping your fruit and vegetables fresher for longer. The internal LED light on the Candy CCT0552WK-WE lets you quickly and easily locate your food. This affordable appliance benefits from automatic defrosting which will ensure frost doesn’t build up in the fridge over time, and you won’t have to manually defrost it. Energy consumption: 182kWh per year based on standard test results for 24 hours. Net fresh food storage volume 113 litres. Ambient temperature 18c to 38c°C and therefore. Manufacturer’s 5 year parts and 1 year labour guarantee.